It's easy to lose sight of what truly matters in this Russia investigation. And, to be fair, only Robert Mueller truly knows. But lost in the buzz around the BuzzFeed story was a bombshell floated by Trump’s own lawyer, Rudy Giuliani. 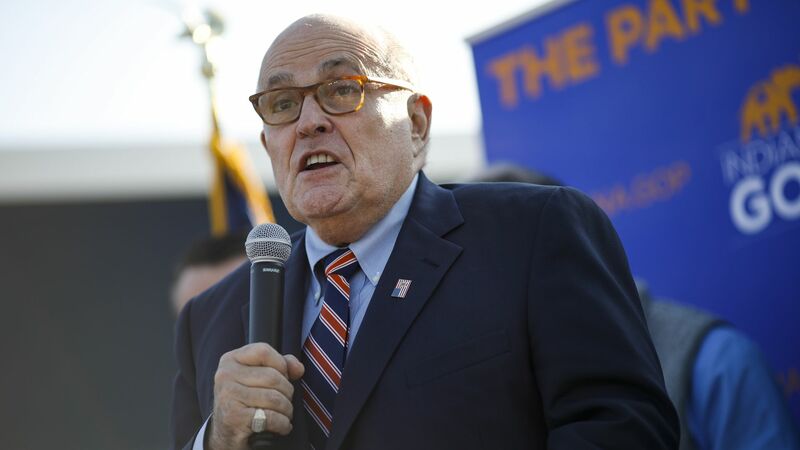 What he said: In remarks he yesterday tried to walk back as "hypothetical," Giuliani admitted that Trump's team may have been working on — and updating him on — a potential Trump Tower in Moscow all the way up to Election Day. Giuliani suggested that then-candidate Trump was aware of — and discussed — the deal far longer than previously disclosed. Giuliani, relaying a quote from the president that hardly sounds hypothetical, said in an interview with the NY Times that Trump had told him the Trump Tower Moscow discussions were "going on from the day I announced to the day I won." That would mean Trump was being untruthful or highly misleading with his repeated campaign denials of any Moscow business dealings, as late as his Oct. 9 debate with Hillary Clinton: "I don’t deal there." This would mean Trump was cooking up a business deal with Vladimir Putin’s Russia while calling for warmer relations with Russia and questioning the U.S. role in Putin’s nemesis, NATO. And Russian officials would have had negative information to hold over Trump, during the election and after. They would have known Trump was misleading the American people about his Moscow deal. Why it matters: Imagine there was no drip, drip, drip — and we learned in one fell swoop that an American presidential candidate was secretly negotiating a multibillion-dollar business deal with an enemy of the United States (and falsely denied it) while that nation was seeking to tip our election in his favor. Be smart: It appears the Giuliani strategy includes, little by little, confirming troubling facts so that they won't seem as jarring when revealed in full by Mueller or others. This allows Trump and others to say, "This isn’t new" or "Trump disclosed this earlier."